1.5 km S of Caldron Lake; 2.5 km ENE of Trapper Peak. Name Notes: W.D. Wilcox named the lake in 1896 for Bill Peyto, outfitter and trail guide. 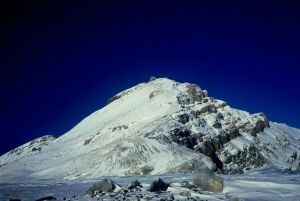 The peak took its name from proximity.